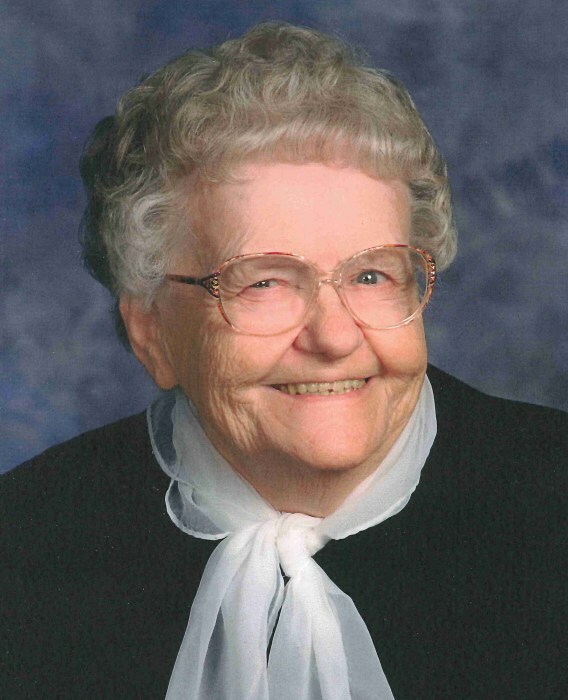 Rose Marilyn Arlene "Peewee" Hill, (Peterson) (Holtby), age 92 of Anoka, passed away peacefully held by her children on January 26, 2019. Preceded in death by her beloved husband, Kermit and infant daughter, Karen. Survived by sister, Marjorie Johnson, Blue Ribbon Baker; children, Suzanne (Dave) Hazewinkel, Connie (Jon) Eide, Douglas Hill, Brian (Kelli) Hill, Rick (Toni) Hill, Ginny (Paul) Keeney; 19 grandchildren and 13 great grandchildren and many dear friends. Marilyn was a loving wife, devoted mother and grandmother. She loved to talk and she loved to eat. Although she was a good cook, she never turned down an opportunity to eat at a restaurant. Perpetually on a diet, she still loved loved sweets. In her younger years, she played the organ for church. She especially loved old hymns. She memorized whole chapters of the Bible and insisted the family attend all services at church. She smiled a lot and loved to laugh she had a good sense of humor. She could often be found napping during the day and wide awake at night. She faithfully remembered birthdays and anniversaries. Marilyn had a soft spot for animals, especially cats and dogs. Married for 55 years, Kermit and Marilyn did everything together. If they ever had a fight, it was never in front of the family. They were snowbirds for several years in Florida, and made many friends in the south. Marilyn liked to keep up with her kids and grandkids lives and was active on Facebook through age 90. She read her daily newspaper and strived to be informed in the current events of the world. We rest assured knowing she is safe in her Fathers arms, reunited with loved ones who passed before her. We miss her dearly, but rejoice in the promise of eternal life with God our Heavenly Father.